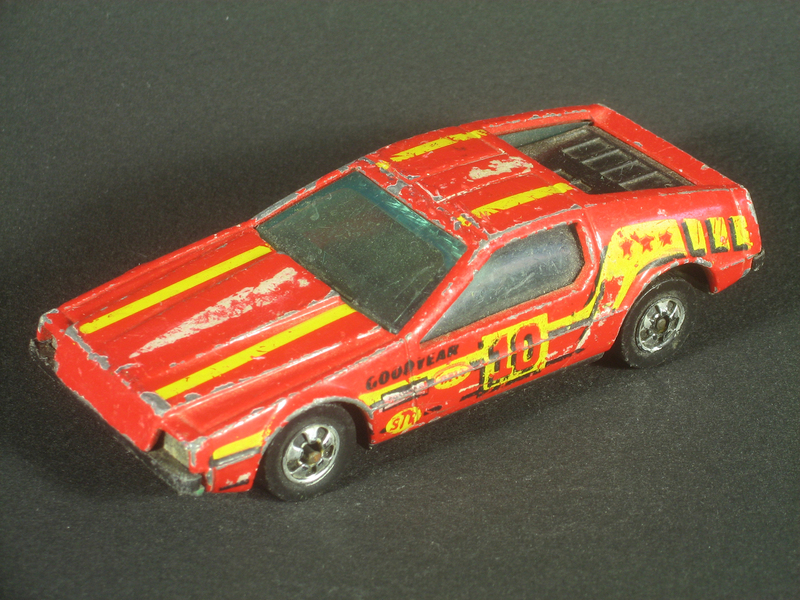 The Hot Wheels Spoiler Sport was designed by Larry Wood and first released in 1977. It is a wedge-shaped van with a set of skylight windows just behind the cab and a giant wing on the back. Many of the variations can be found with either two narrow horizontal windows in the back or one larger horizontal window. The large window version also includes a drag chute tucked just over the rear bumper. This white example, from 1982, is in poor shape and is missing much of its yellow, purple and blue flame tampo. 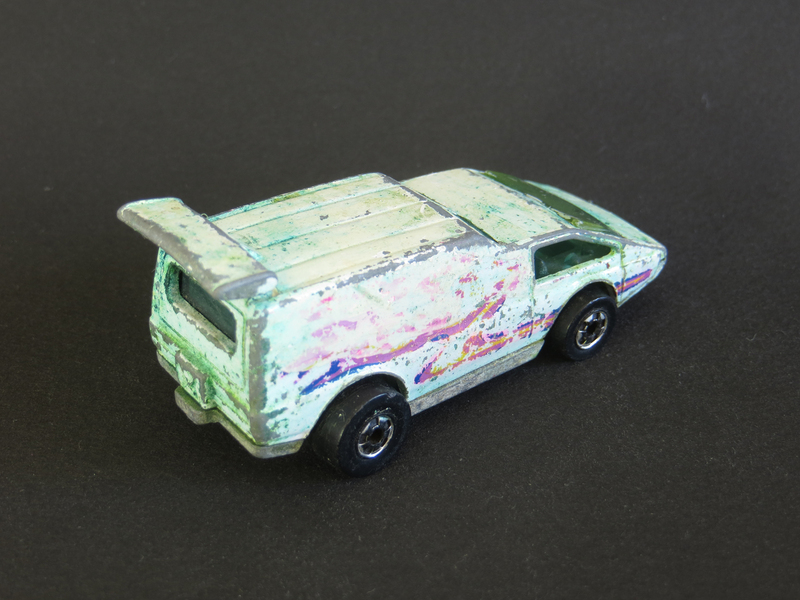 There are about 11 variations of Spoiler Sport, of which I have the green 1977 first casting and the shiny version from 1979 Golden Machines 6-Pack. I also have the 1979 version released as Incredible Hulk in both two small window and large window variations. 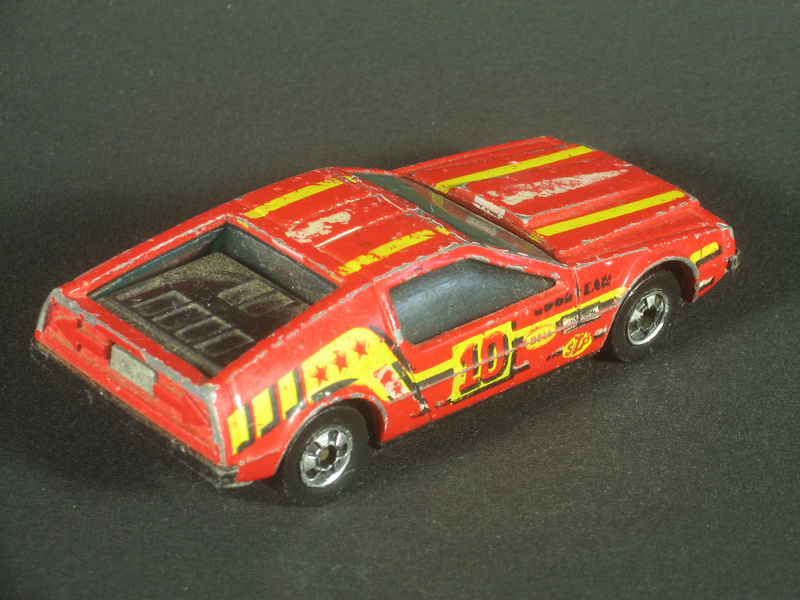 In 1985, the casting was re-named Street Scorcher and can be found in an additional 7 or so variations since. 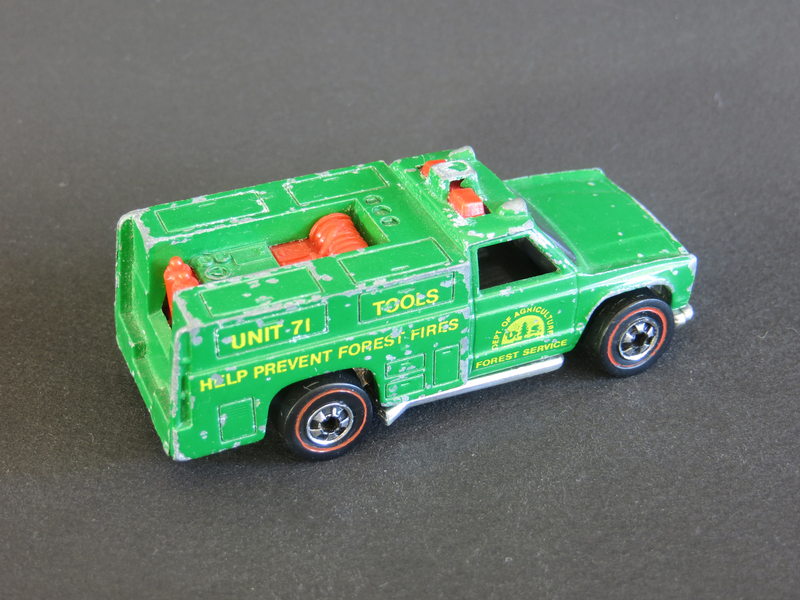 The Hot Wheels Emergency Squad and Ranger Rig, both released in 1975, were the same casting with different paint and decoration. 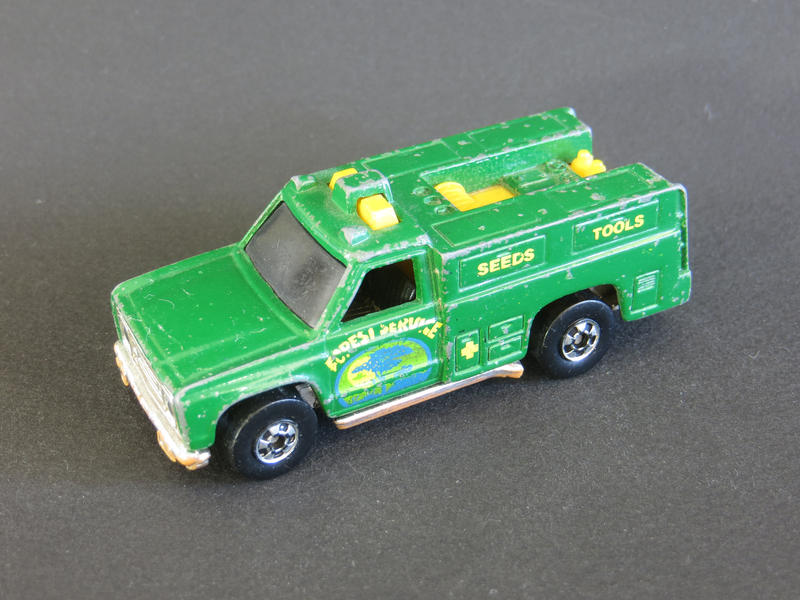 In fact, several models released in 1975 (Backwoods Bomb, Paramedic/Super Van, Emergency Squad/Ranger Rig, Ramblin’ Wrecker) used the same molded base and grille. Emergency Squad is said to be based on the TV show Emergency! which ran from 1972 until 1977 and was one of my favorites. The vehicle in the show, Squad 51, was a Dodge D-300 and it now sits in the Los Angeles County Fire Museum along with its co-star, Engine 51. 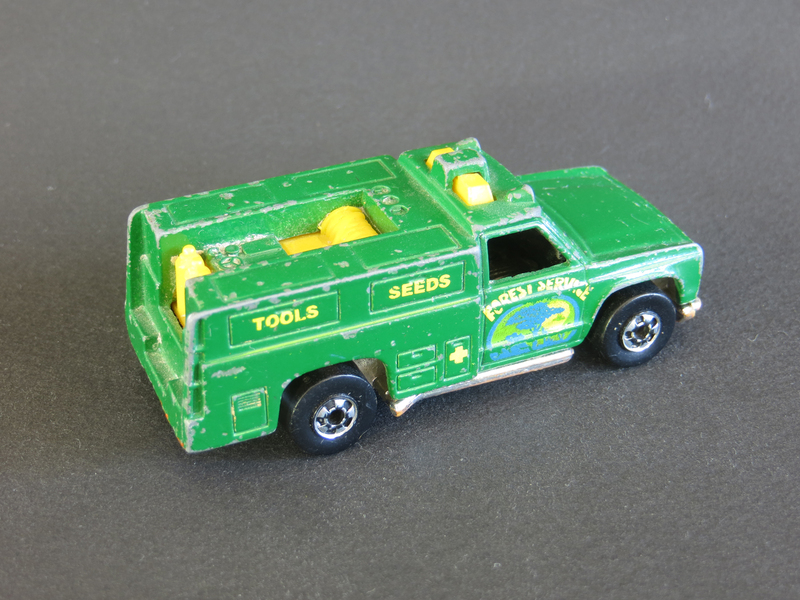 This redline-wearing first release from 1975 came from eBay. I also still have the 1977 blackwall version of Emergency Squad from my childhood. Next up is the redline 1975 first release of Ranger Rig. 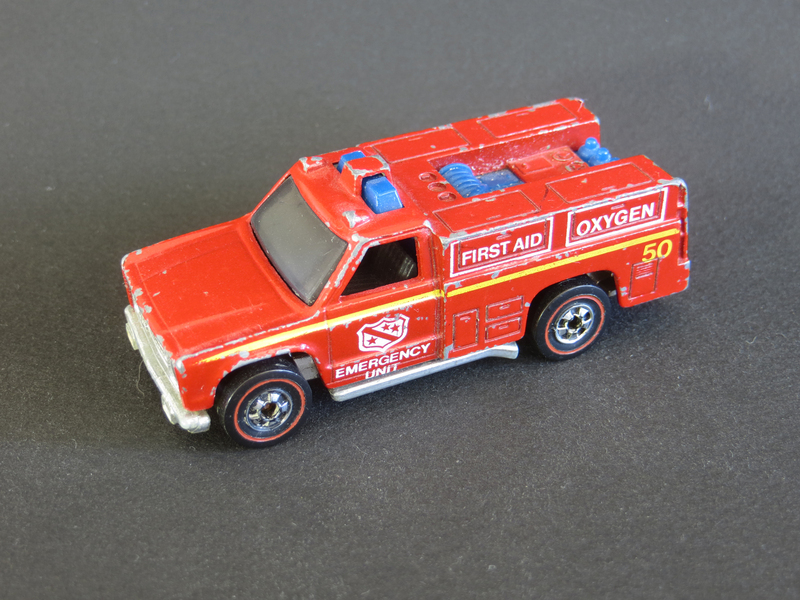 In 1986, the casting was renamed Rescue Ranger (and more recently, HW Rapid Responder) and many, many variations followed. 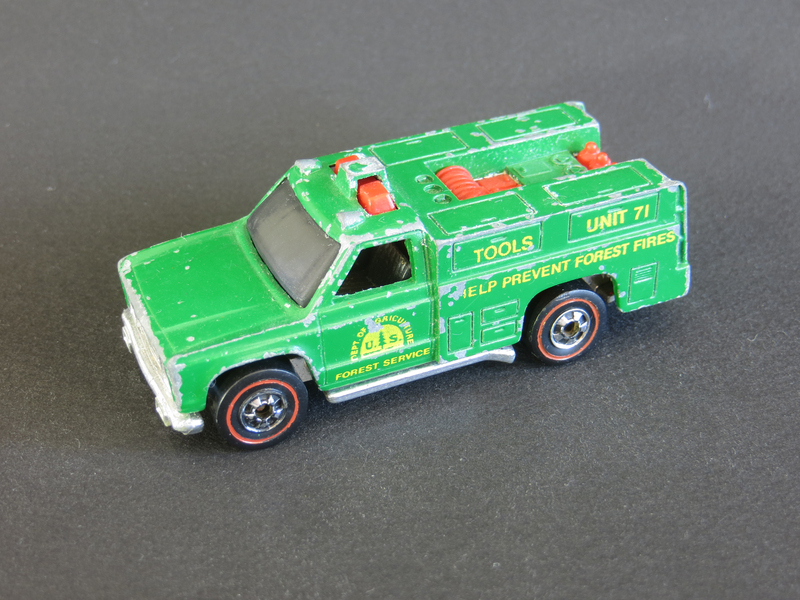 This green version with a yellow insert and colorful Forest Service emblem on the doors is from 1986. 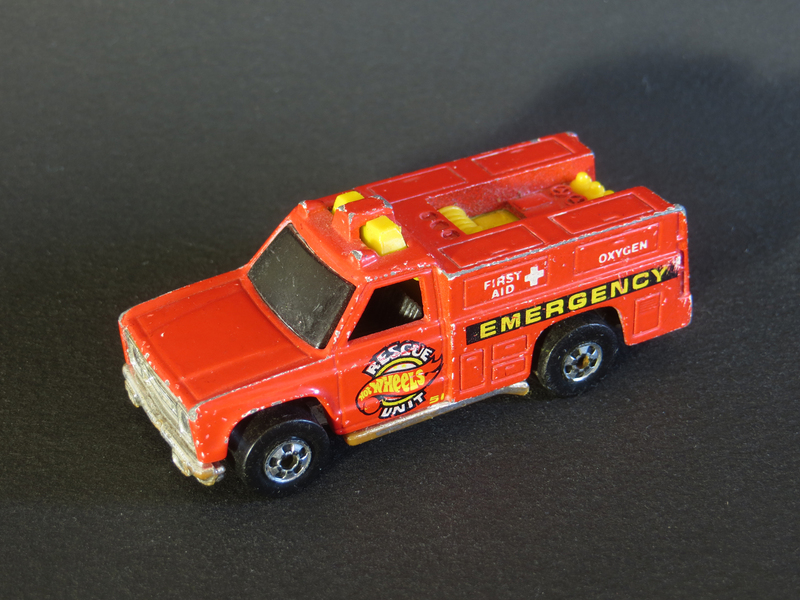 Finally, this red model with yellow insert and Hot Wheels Rescue Unit on the doors is from the 1988 Workhorses Series. I also have a yellow Airship Support Team version from the 1994 Blimp & Support Team 5-Pack. 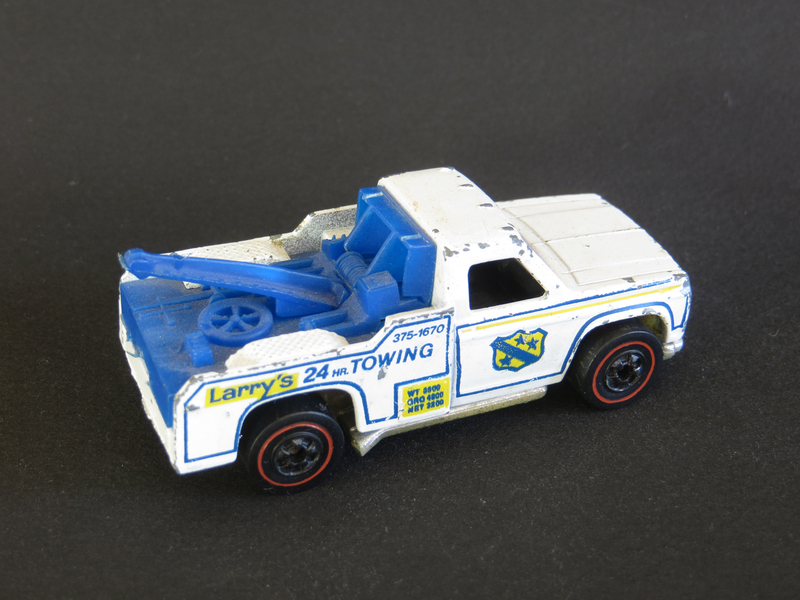 There are a lot of great Hot Wheels stories, but one of my favorites is the one about how designer Larry Wood put his home phone number on the side of the Ramblin’ Wrecker. Shortly after the model was released in 1975, Larry started getting phone calls from curious kids all over. As you can imagine, his phone number was removed from subsequent releases. The 1975 release with the phone number can be found with either blue tinted windows or smoke tinted, as you see here. Unfortunately, mine is missing part of its plastic tow bar. I also have an even more worn example of the later blackwall version from 1977. 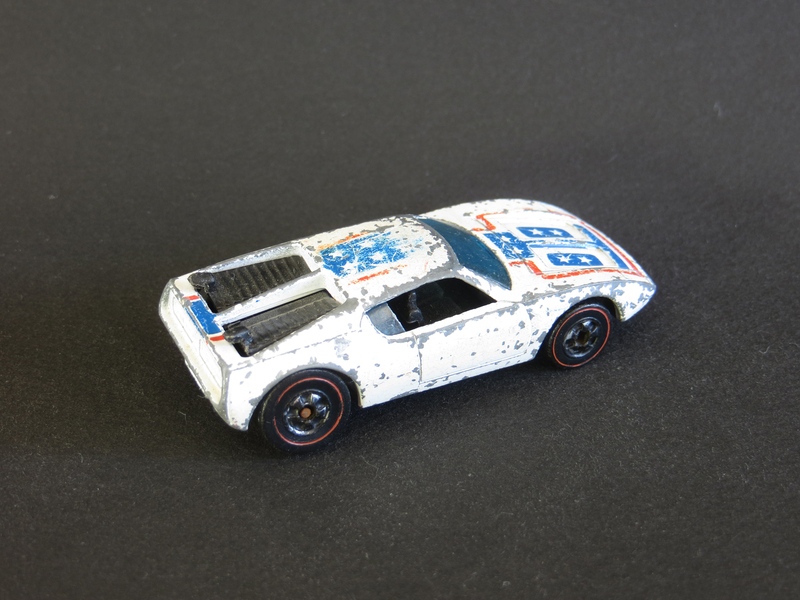 The Hot Wheels AMX/2, based on the American Motors experimental car unveiled at the Chicago Auto Show in 1969, first appeared in 1971 during the Spectraflame era. 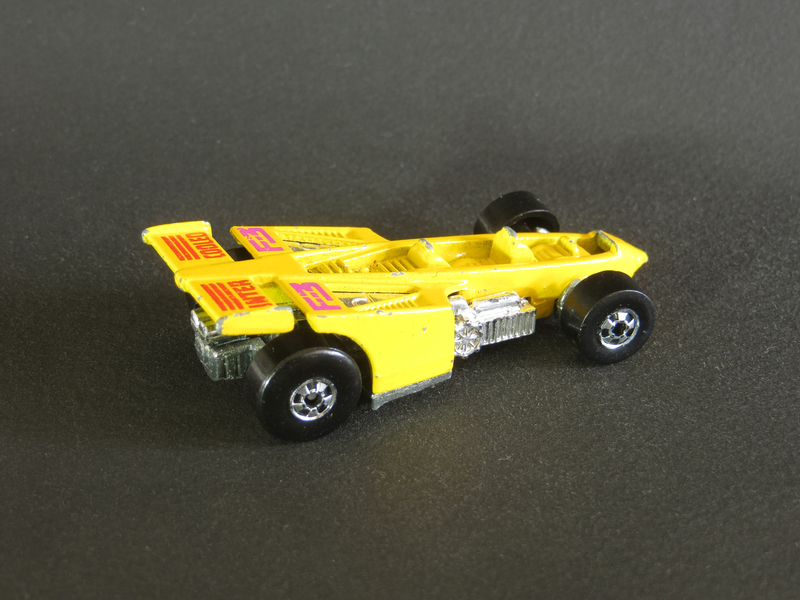 The model came back in 1973 as Xploder wearing a variety of enamel paint colors. In 1975, it was renamed Warpath and was given a patriotic tampo design. 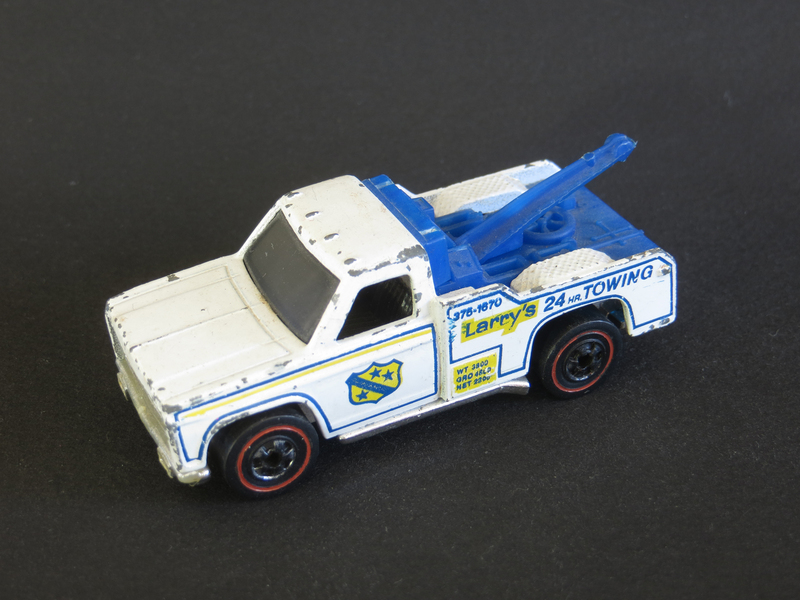 There are only 3 variations of Warpath: white with red and blue tampo as you see here; a 1975 restaurant promotional that is identical to this but with the Herfy’s logo across the sides; and a red paint with white and blue tampo Wisconsin Toy Company version from 1980. 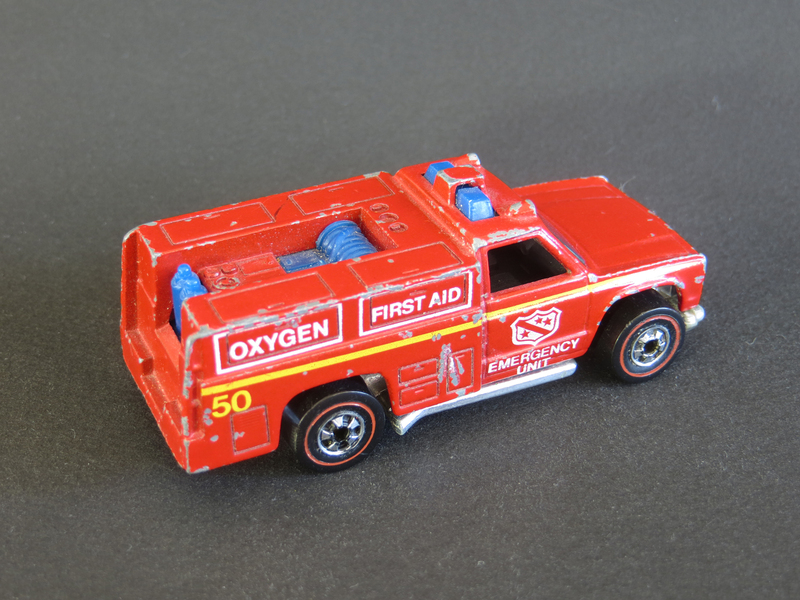 In 1985, the casting was retooled without the plastic opening engine covers and renamed Redliner. Then it appeared one final time in 1987 as Road Torch. 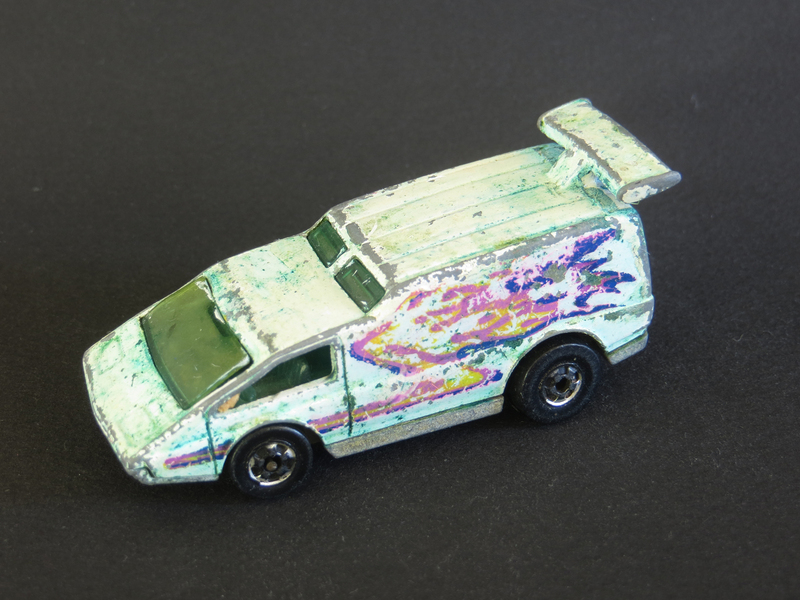 This interesting Hot Wheels model is said to have been originally cast as the DeLorean. 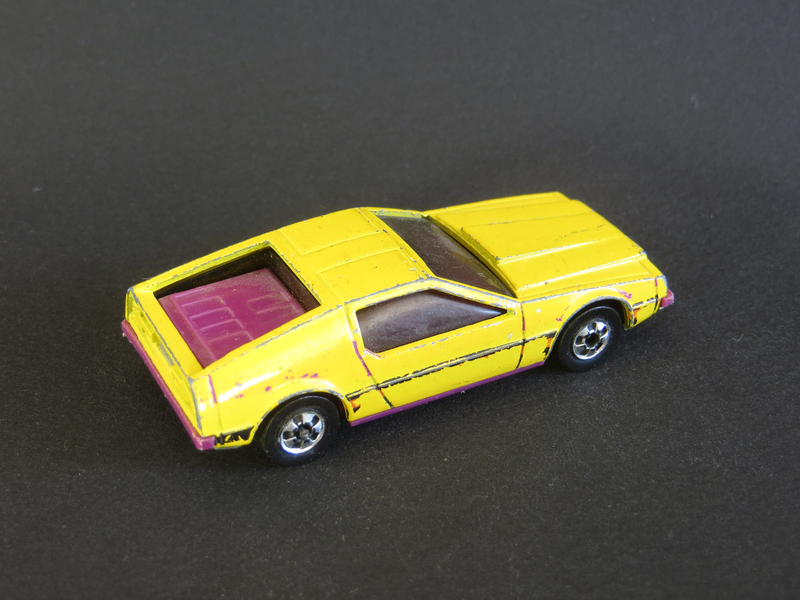 When the deal to license the model fell through, the tooling was reworked just enough that it could be released as an unlicensed car and it was called Turismo. 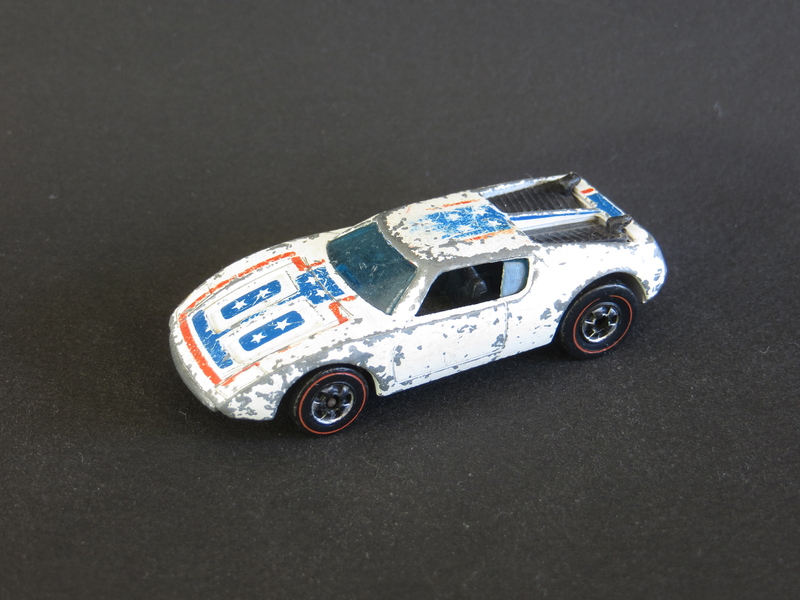 I’ve had three variations of this car in my collection for a long time, but probably due to their generally poor condition, I’ve never featured them here. 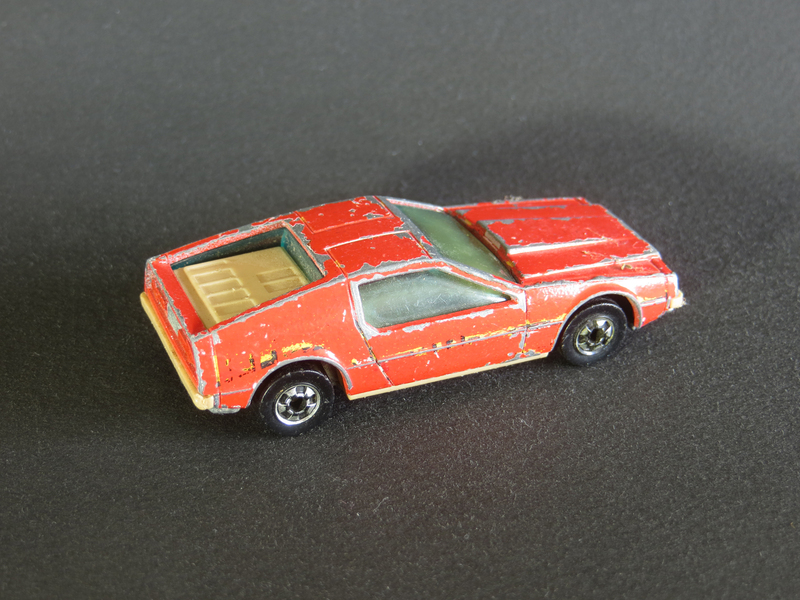 This red version with tan interior and rear deck is the first casting from 1981. 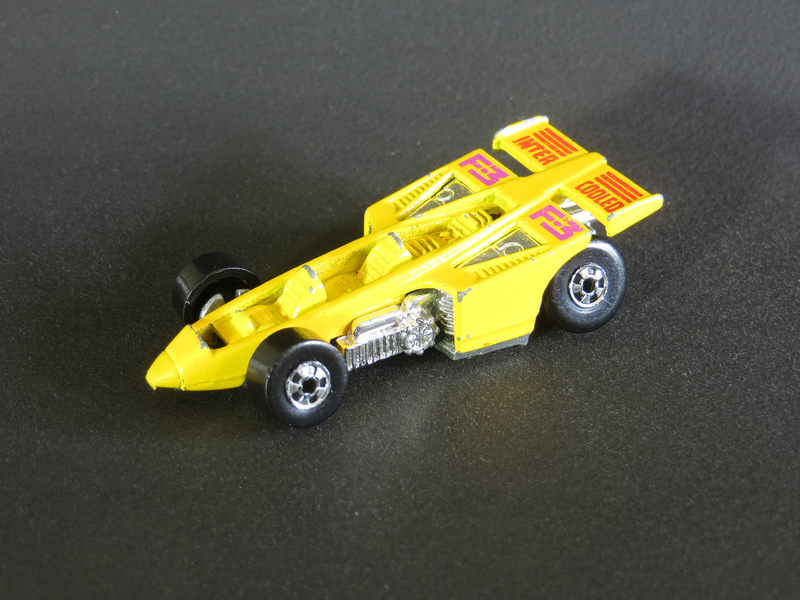 Unfortunately, it is missing most of the yellow, white and black tampo (as well as quite a bit of the red paint). 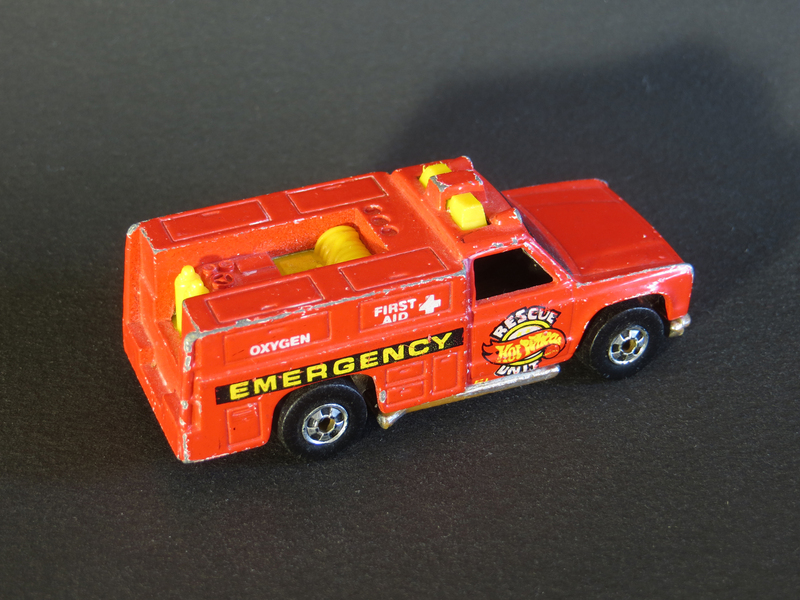 Here you see the red variation from 1982, which has a black interior and rear deck. The tampo decoration on this model (thankfully, mostly still visible) is basically the same as what would have been on the first release above. 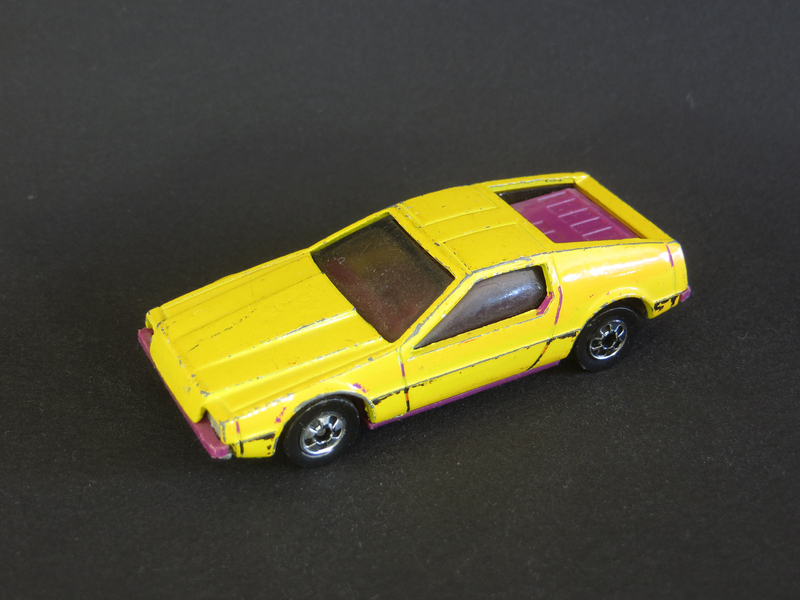 This next yellow variation with a purple interior and rear deck is from 1983 and is also missing most of its tampo. You can just barely make out the remnants of what would have been striking black, purple and orange stripes along the sides of the car. 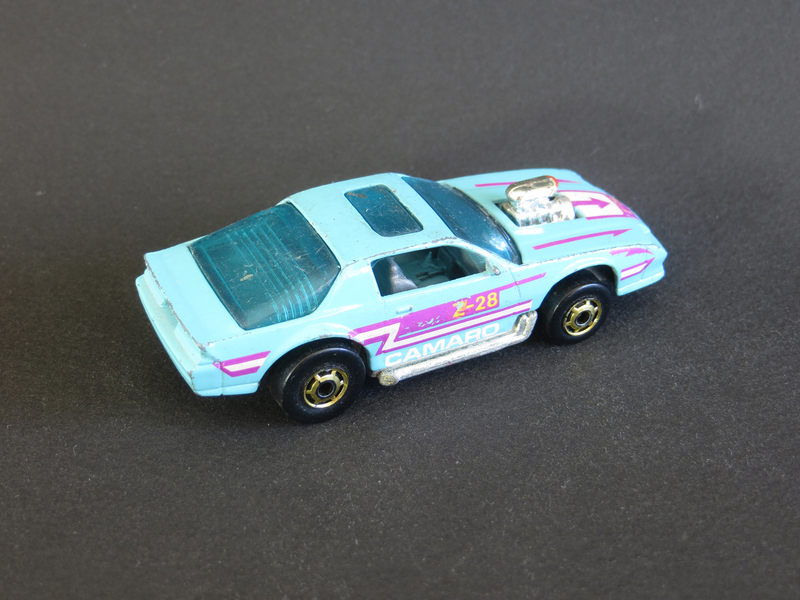 The Hot Wheels Blown Camaro Z-28 is a customized version of the real-life third-generation (1982-1992) Chevrolet Camaro. 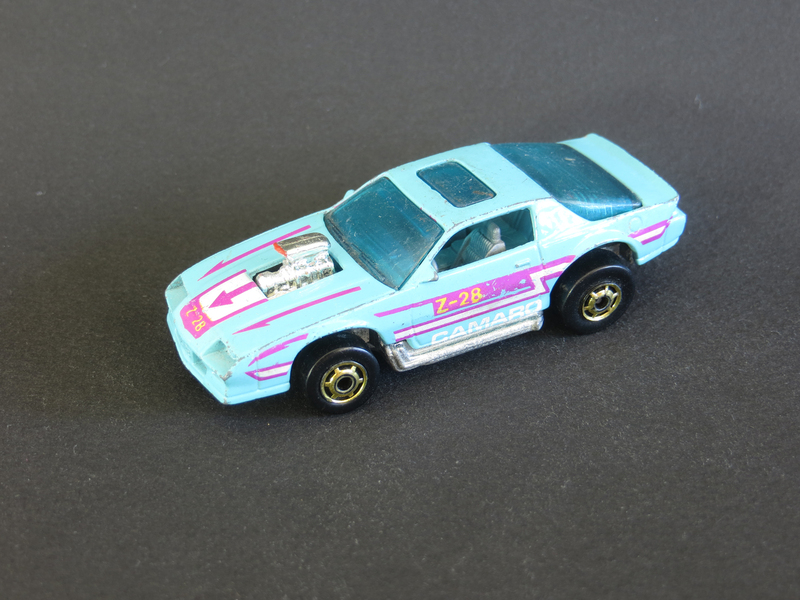 This turquoise model with magenta, yellow and white tampo and gold Hot Ones is from the 1988 mainlines and came to me in the Collection of Big A. There were about 26 variations of the Blown Camaro Z-28 produced before it was retooled in 1992. 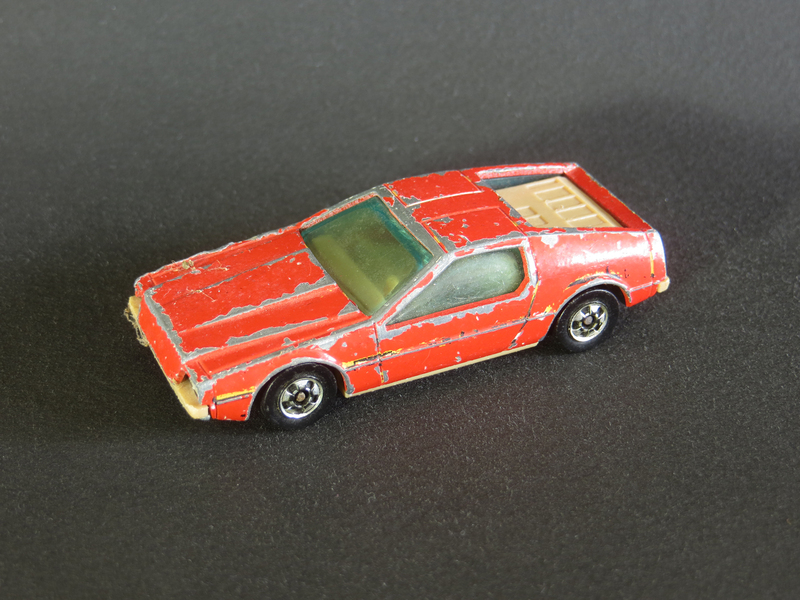 The more recent casting, ’80s Camaro, has no sunroof and a closed-up hood. 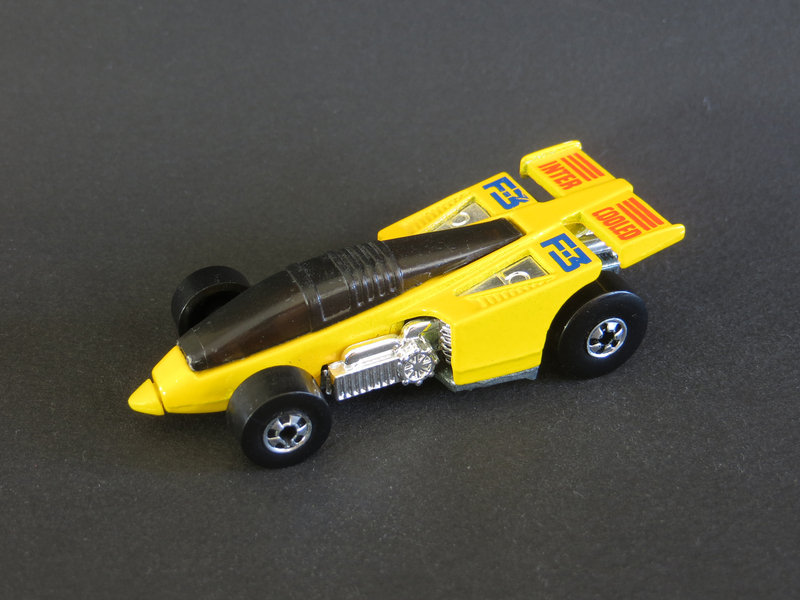 Designed by Larry Wood, the Hot Wheels Shadow Jet is a futuristic take on an open-wheel racer. 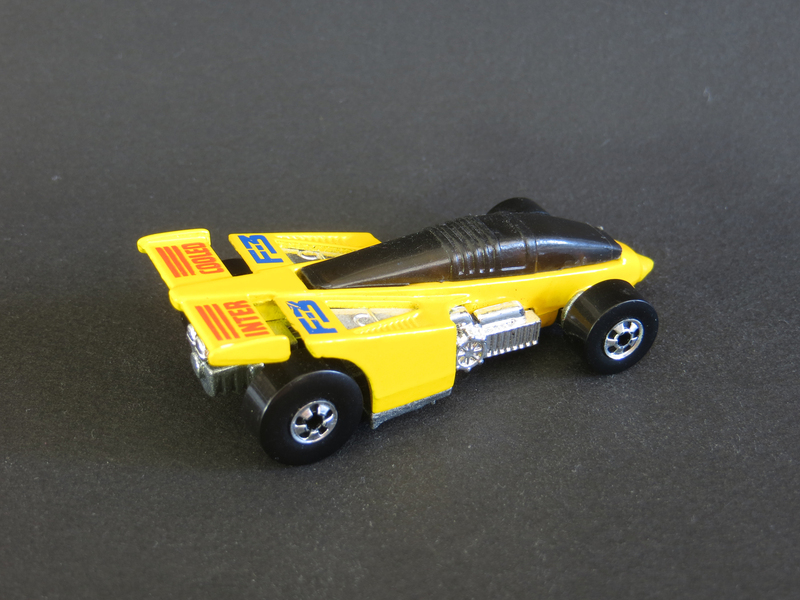 There are about 27 variations of Shadow Jet, Including these two from its 1988 first release. This first clean example is from the Collection of Big A and is yellow with tampo in red and blue. The next model is not quite as nice, but it shows the red and magenta tampo variation, and also – because it’s missing the plastic canopy – you can clearly see the interesting inline two-seat cockpit. 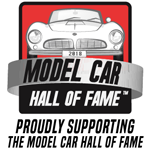 In my collection I also have nice loose examples of the 1991 metallic purple version and the 1992 green model, as well as the green variation in the 1994 Racing Team Five-Pack.